States get tax revenue from several sources. 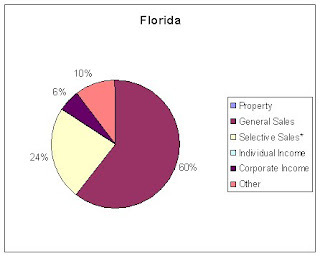 General sales taxes, selective sales taxes (e.g. booze or gasoline), property taxes, personal income tax and business income tax are the major contributors to state tax revenues. The Tax Policy Center has data on tax revenue sources for each state. Their data has numbers for individual years from 2000 to 2009. Here I'll just look at the latest figures for 2009. This is the entire picture if you average the revenue across all 50 states. As a whole you can see that the states get most of their revenue from sales taxes and individual income taxes. You probably know that already since almost all of us pay at least one of those and usually both of them. 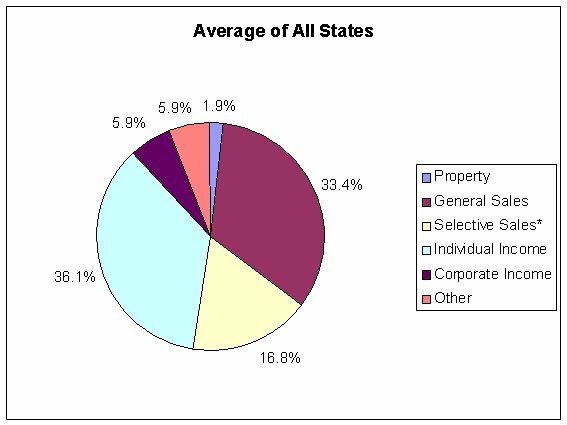 You may be surprised to see how low the corporate income taxes and property taxes contribute to state tax revenues over all. Property taxes may be high in some places but oftentimes most of that money goes the city or county level governments mostly. 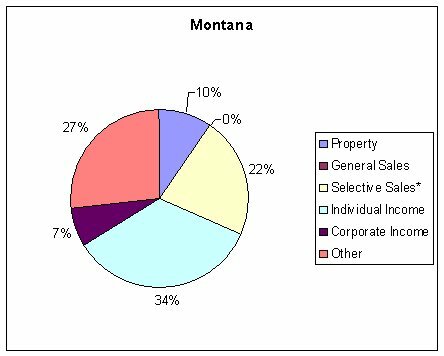 Every state is different and the tax revenue sources differ greatly across states. Some states have a high dependence on one form of tax. For example, Oregon has a high dependence on individual income taxes where on the other hand at the opposite corner of the nation Florida has high percent of its tax revenues from sales taxes. Alaska is unique in that it derives a large share of its taxes from the 'other' category. In the case of Alaska the major contributor in that 'other' is royalties from oil productions. 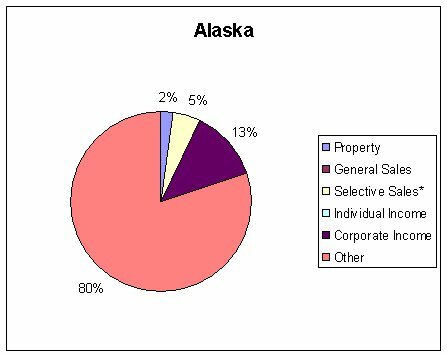 Alaska is heavily dependent on oil revenues for its state revenue and has very low taxes in other categories. Of course many states have a more even distribution of tax revenue sources. 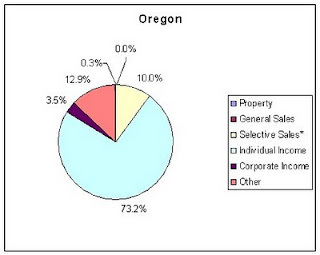 I think its generally better to have more diverse tax sources so the states aren't leaning on one area too much. Montana seems to have a fairly even distribution of tax revenues. No one source is over a third of their tax revenues. They don't have a general sales tax but their selective sales taxes still account for 22% of their revenue. Each state is different. In fact they are so different that I don't even think we can point to any state as being 'normal'. To see the percentages for your state you can check out the Tax Policy Center article.